Lush.co.uk made these for one day only, to sell on their website. I was lucky enough to be able to buy a couple because they went so fast, in seconds! This would be a real good jelly to blend up into a thick shower gel type of consistency. I cut mine into squares and use one swuare in the shower. I also use them at the sink to wash my hands with. The jelly stays solid when you wash it, so i just keep a piece in the soap dish. This is the best Honey I Washed the Kids product that lush has ever made. I freaked out at how strong the fragrance is in this jelly. It’s a creamy, toffee, orange scent. Absolutely yummy. It leaves ones skin smelling yummy. The scent stays on the skin a bit longer than other lush jellies. Lush has made many products with this same scent. 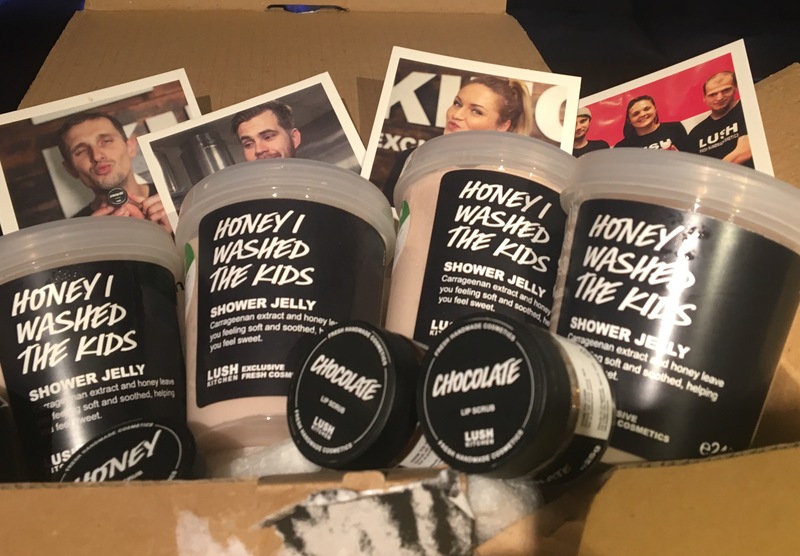 Honey bee bath bomb, Ma Bar bubble bar, Mum reusable bubble wand, Honey I washed the kids soap, It’s Raining Men shower gel, honeyhugs shower gel, honey i washed the kids shower gel, Honey I washed the kids perfume spray, Shoot for the Stars bath bomb. 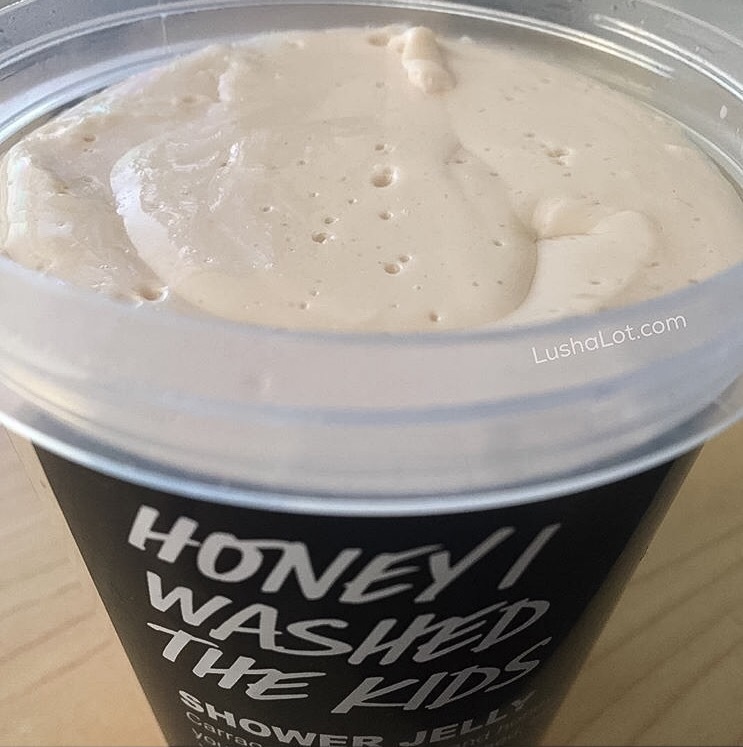 Posted on September 10, 2016 by Lushalot	• This entry was posted in Jellies, limited edition, Lush Kitchen menus and product demos and tagged lush kitchen honey i washed the kids jelly. Bookmark the permalink.